The first half of the year was characterised by falling prices across all market segments following the completion of several new projects, which caused a state of oversupply in some parts of the market. Following declines across all segments in the third quarter of 2016, the year ended with tenants taking advantage of the new market conditions. This caused prices to fluctuate in the first quarter of 2017 when the average year-on-year (YoY) decline in apartment and villa sales reached 8 per cent. In the rental market, average apartment and villa prices softened 3 per cent quarter-on-quarter (QoQ). However, demand was increasing for properties in established communities, such as The Meadows and The Springs, where sales prices for villas and apartments witnessed a rise of 8 per cent and 5 per cent respectively YoY. In the second quarter, the real term impact of this began to manifest. Asteco’s data confirmed a further softening for apartments, villas and offices of approximately 3 per cent, 2 per cent and 2 per cent, respectively. The annual picture showed a more pronounced drop of 7 per cent in apartment sales and 10 per cent in villa sales. The second half of 2017 will see the completion of 15,000 apartments, 3,750 villas and 2.5 million square foot of leasable office space, in addition to the 2,700 apartments, 525 villas and 0.2m square foot of leasable office space completed in the first half of the year. These projects include the continued handover of City Walk, the completion of JBR’s Bluewaters, the initial launch of the Dubai Canal projects, the completion of a number of Emaar projects in Downtown, Habtoor City and a number of individual projects conducted by third party developers. A substantial volume of this supply targets a narrow cross section of the market, at a time when tenants and buyers have the power to drive prices. Acutely aware of their position, we are witnessing a growing number of tenants and buyers looking to take advantage of the current market situation to leverage this. On expiry of a contract, tenants first look to renegotiate a lower price, or pay lower and more frequent instalments. In areas of concentrated supply, property owners who do not compromise on the tenant’s proposals could face months of empty units, forcing a reduction in price before a new tenant has even viewed the property. If tenants are unable to negotiate suitable renewal or sales terms on their first choice property, they relocate. This decision is based not only on area and price, but contract terms and conditions. These factors, along with the new supply, re-draw the emirate’s map of high-demand zones. Apartment sales in the traditionally high-demand DIFC, Jumeirah Beach Residence, Palm Jumeirah, Business Bay and The Greens remained flat in the second quarter of 2017. International City and Dubai Marina posted the highest sales price declines at 7 per cent and further declines were posted for Jumeirah Village (6 per cent), Discovery Gardens (6 per cent) and Downtown (5 per cent). Similar trends in the rental market saw apartment prices soften by 2 per cent QoQ and 7 per cent YoY. In the villa rental market YoY declines were witnessed in The Springs (16 per cent), Jumeirah (14 per cent), Arabian Ranches (13 per cent), Palm Jumeirah (13 per cent), Al Barsha (12 per cent), Mirdif (11 per cent) and Umm Suqeim (10 per cent). However, over the same period annual growth for villa sales in The Meadows and The Springs reached 9 per cent and 5 per cent respectively. In these areas, the community facilities and infrastructure are established but supply over the period was limited. If this trend withstands, developers in these areas could follow the same model as their competitors in International City and Jumeirah Village Circle, creating smaller, more affordable units. They may also face pressure to reduce off-plan rates, specifically in integrated urban developments such as Dubai South. More affordable place to live? Last year brought mixed fortunes for investors. In the short term, supply will continue to soften prices in the high-end segment, but investors and developers can still generate high returns in the mid-market segment. It simply takes time for the correction to play out. Although the trend started some years ago, 2017 is the year the market sees tenants and buyers assert real influence as this period of adjustment endures. The secondary market will continue to enjoy more flexibility in contracts and Dubai will become a more affordable place to live and work. An adjustment in supply will not change this. 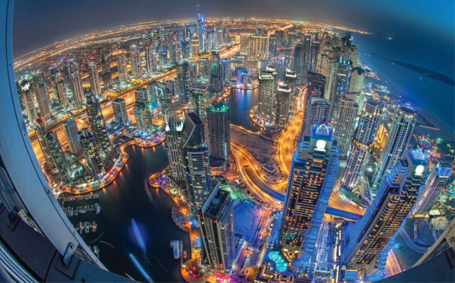 More people now choose to live in Dubai and the UAE on a long-term basis. Naturally, this drives sales but it also motivates tenants to negotiate contract terms that will remain favourable over multiple renewals. Although Dubai’s investors and residents will both attempt to negotiate conditions in their favour, for the foreseeable future the market will ensure it is the end users of the emirate’s building stock who take home the best end of the deal. Major projects due over the course of 2018 include Silicon Park, further phases of Mohammed Bin Rashid City, Deira Islands and d3 and Al Mamzar Beachfront. In addition, construction, fit-out and handover delays on active projects may push some 2017 supply into the New Year. In the area surrounding the Expo 2020 site 70,000 units of luxury and affordable property are currently in the pipeline. These units are designed to meet current market needs and have enjoyed strong interest to date as a result.